Monday-Friday, 8am-5pm. Closed for lunch from 12-1. Sonoma’s Tuesday Night Market presented by Valley of the Moon Certified Farmers Market in partnership with City of Sonoma takes place every Tuesday evening from 5:30 p.m. to dusk, May thru September in the historic Sonoma Plaza. 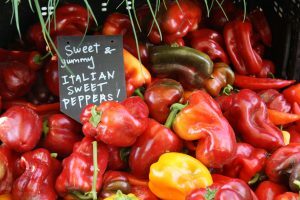 Additional local markets include the Sonoma Valley Certified Farmers Market (Fridays year-round, 9 a.m.-12:30 p.m., in the Arnold Field parking lot at 241 First St. W.), the Springs Community Farmers Market (Sundays October-December, 10 a.m. -2 p.m. in Boyes Hot Springs on Hwy 12 near the Post Office), and the Saturday Harvest Market at the Sonoma Garden Park.